We all need change every once in a while, but we can’t always afford a complete home make-over. Living rooms are a great place to start, since they’re one of the most heavily used “chilling” spots at home. 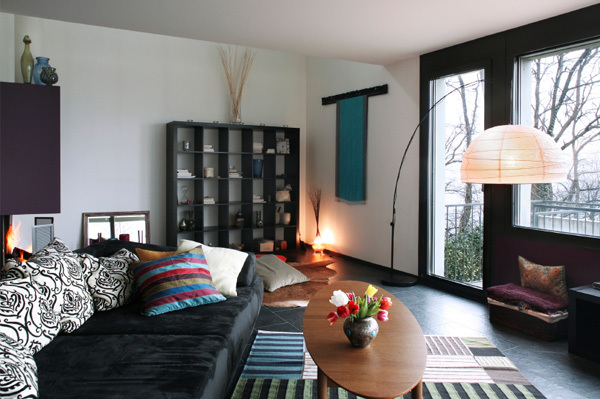 And remodelling your living room can make you feel rejuvenated and fresh. Here are some tips for changing up your living room without having to spend more than you can. Colour is one of the most noticeable elements in decor and is pretty much the easiest thing to change. The colour of your living room’s walls can drastically change the look of the room: a dark, rich burgundy adds a touch of antiquity, while a bright yellow can make it look hip and modern. Painting is also very budget-friendly; all you really need is paint, primer, tape and a brush. Technically speaking, you don’t have to add anything to your living room at all. Our eyes often get accustomed to the layout of home; by simply shuffling and rotating your furniture, your living room will automatically look new. In the process of rotation, you can move ornaments around, or borrow from other rooms too. Even though a prize-winning interior designer would be awesome, you do not exactly need one to remodel your living room. Just think fresh! Adding some nature to your living room can go a long way in budget-friendly remodelling projects. Whether you choose to go with live plants or plastic ones, plants can add life to empty corners and completely change the feel of your living room. Try adding a vase of fake flowers and branches in an empty corner — or right under your window, for a more spring-inspired look.